Asus today at Computex announced the interactive ScreenPad feature for Windows 10, and the ZenBook Pro 15 is the first laptop to support it. 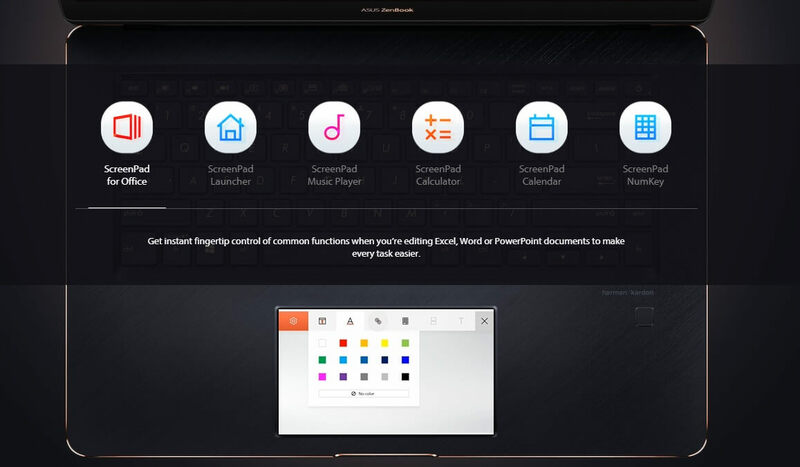 ScreenPad is an innovative and interactive feature available only on select hardware configuration. 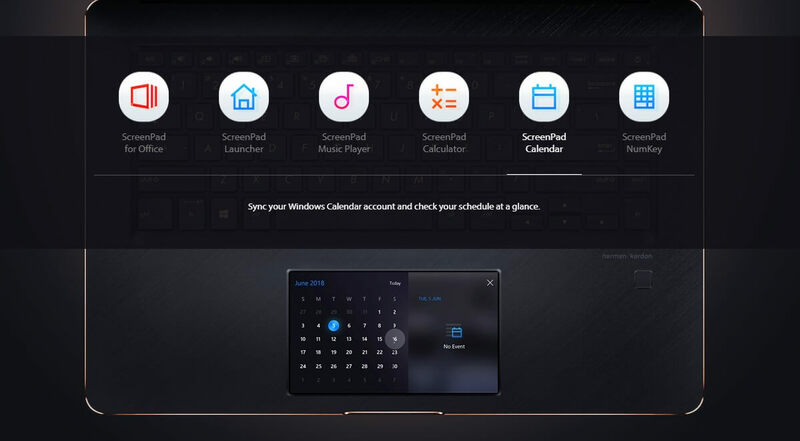 Asus today at Computex announced the interactive ScreenPad feature for Windows 10, and the ZenBook Pro 15 is the first laptop to support it. 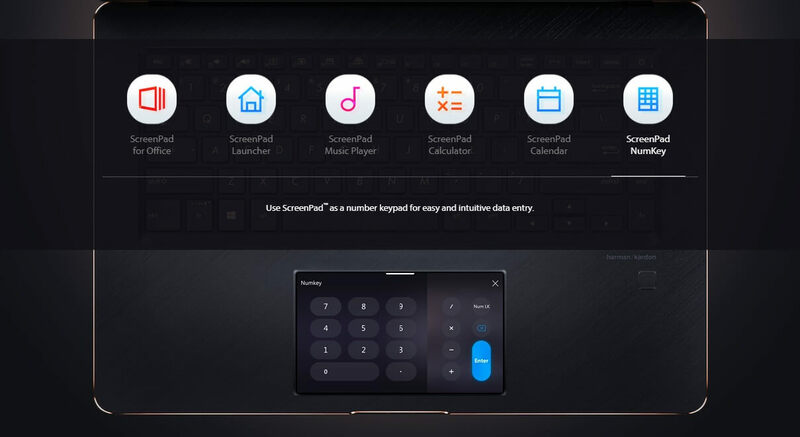 ScreenPad is an innovative and interactive feature available only on select hardware configuration. A laptop would need to come with a smartphone-sized touchscreen in the place of the regular touchpad to support ScreenPad. As you might have guessed already, the ScreenPad feature is hardware-dependent and you won’t be able to enable it on your current laptops. It’s an attention-grabbing feature, and I was surprised by how well implemented this feature is. Asus ScreenPad is somewhat better and advanced than Apple MacBook Pro Touch Bar, which has several limitations. This feature is potentially useful on Windows 10 device and it also works like a regular touchpad. Asus is calling it as the world’s first smart touchpad because its sort of smartphone that’s integrated with your computer’s hardware. Let’s see what ScreenPad is all about. First and foremost, it’s a regular touchpad with 5.5 inches screen and 1920 x 1080 resolution. It’s placed right where you would the touchpad on your laptop, but it’s more than a simple touchpad, it’s a ‘feature’ that plays multiple roles. 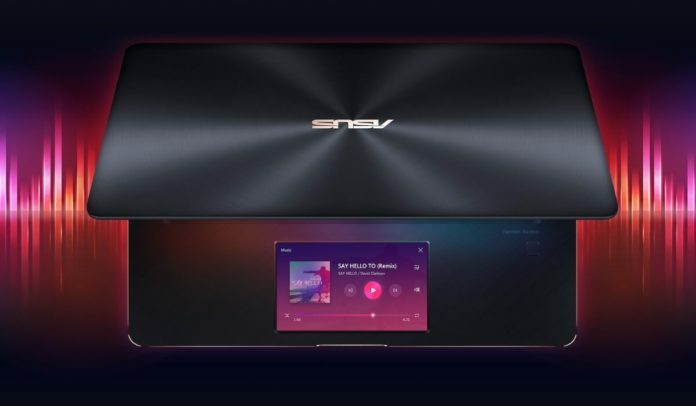 Asus cares about the durability of its laptop, so the company has covered it with a glass to resist typical scratches, and it makes it easier to use. In simple words, the touchpad plays the role of a secondary bar, and it can also bring some part of the Windows 10 desktop to the touchpad, so it’s sort of dual-screen integration. The touchpad or the ScreenPad can be customized with apps and shortcuts, creating what’s more of an advanced version of a touchpad. Interestingly, you’ll be able to control several kinds of apps from the ScreenPad, and it obviously depends on the availability of apps as well. 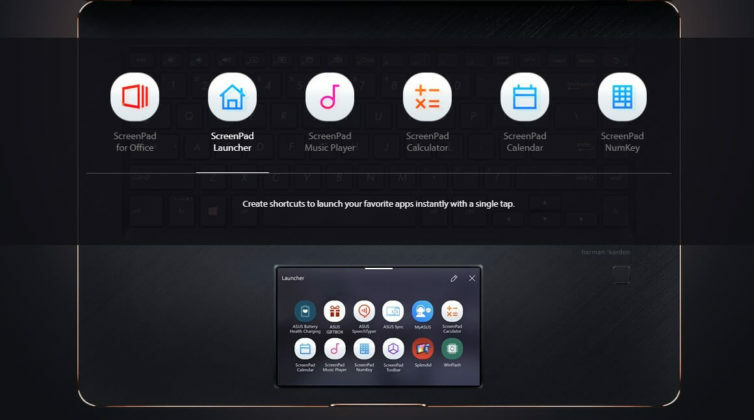 Asus has also integrated an app launcher into the ScreenPad, that means you’ll be able to access several apps and platforms including YouTube. You can play back videos as well, but you’ll need to download an extension, that too from Google Web Store. I was pleasantly surprised by how useful this ‘gimmick” feature is, and the experience isn’t really terrible. The feature can be accessed by pressing F6. The ScreenPad, which itself is a touchpad with a matte finish and Asus has also reduced the glare. The look, feel and experience of the ScreenPad is as good as the regular touchpad. Microsoft and Asus both worked together to improve the ScreenPad feature, and you can also access the Word, Excel, and PowerPoint, thanks to the Office integrations. 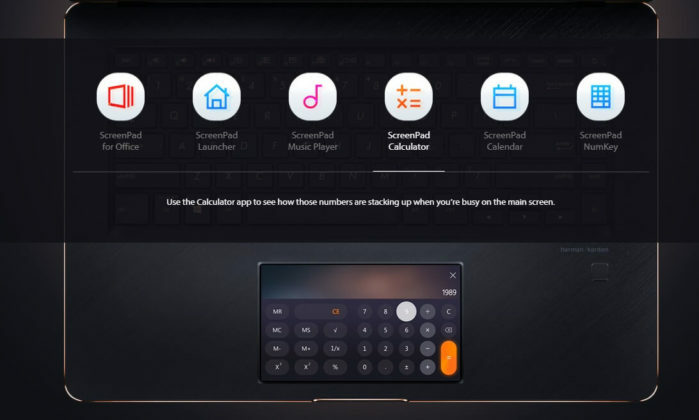 It’s an interactive display with helpful functions, the pad can also function as a controller for music and video, you’ll be also able to control Spotify. The compatible apps would become available for download in the Microsoft Store (formerly Windows Store), making it easier and quicker for users to find new apps and shortcuts. 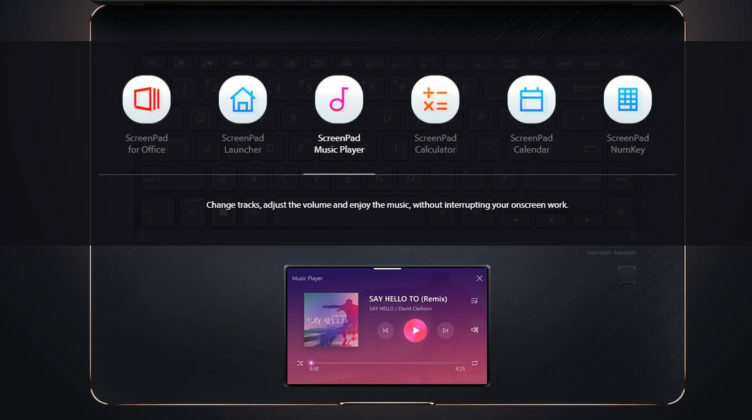 Asus is also committed to the app platform for ScreenPad, and the company will also release a ScreenPad developer kit. The ScreenPad is interesting, interactive and innovative. It remains to be seen whether this initiative will flourish or not. What do you think of ScreenPad? Let us know your thoughts in the comments below.